Esoteric kick off new CURVED AIR catalogue reissue programme in January! 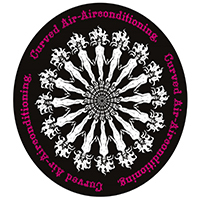 Esoteric Recordings are pleased to be kick starting the new year with brand new reissues of two classic CURVED AIR titles: Air Conditioningand Air Cut. Up first is a new expanded and re-mastered 2 CD edition of Curved Air’s classic 1970 album “Air Conditioning”. This new edition of “Air Conditioning” also includes an illustrated booklet with a new essay by Malcolm Dome featuring an exclusive interviews with band members. Find out more & pre-order here. 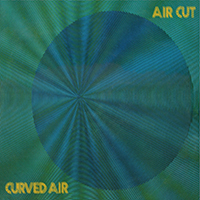 And secondly we have a new official re-mastered edition of Curved Air’s classic album “Air Cut”. Originally released on the Warner Bros. label. This new edition of “Air Cut” has been re-mastered from the recently located original master tapes for the very first time (with previous CD editions being taken from vinyl transfers). The illustrated booklet restores the original album artwork and features an essay by Malcolm Dome and exclusive band interviews. Find out more & pre-order here. Both titles will be released January 26th 2018 and are available to pre-order now.